Now there is no need to waste time in coding your theme because all this can be done by the clicking the button simply. Multiple page templates are included with the theme and some of them include full width, archives, and portfolio page. There are four widget areas offered with this theme. One is in left sidebar and three are in footer. You can customize the header image as well as the background to best suit your website’s requirement. An in-built featured post slider is provided with this theme. It is very simple to locate latest posts. Formatting the video posts and the image posts is possible with this theme. There are two colour schemes which are offered by this theme. There is one dark scheme offered and one light theme offered. When dark theme is used the video is in-front and right at the centre. You will find well organized and customizable archive pages and search results. Now, you will be able to organize the menu structure of your website with extremely smooth visitor navigation option. This also includes selection of what to keep and what to remove from the navigation menu. The users can setup their buysellAds adverts or execute their own custom campaign. They will have full control on the revenue system. Using the TimThumb feature, you will not have to worry about image resizing because it will be done automatically as soon as the image is uploaded. Page reloading often becomes a problem; hence this problem is solved by this Ajax comments feature. When visitors will submit their comments related to your blog, page reloading will not occur. This means that watching video and commenting can be done at the same time. It will become easy for users to promote and maintain their brands. The logo uploader option provided with this theme will allow them to include multiple logos in their store which will suit different purposes. Favicons can be easily uploaded and managed to your website. Now, when the visitors will type your website URL in their browser tab, your brand’s logo will appear which will make your website recognizable. This theme offers multiple colour options to choose from. The simple checkbox will allow you to switch through different options. The Google analytics code can easily be inputted. The theme can readily be translated into many languages. So users who don’t want to work in English language can translate the theme into their language and use all its features and functionalities. Choose your own desired font colour and font size using the clear slide controller option. The fonts control feature will allow you to select between Google fonts and standard fonts which are offered in 36 different options. Selecting typography for copy, post titles, Meta data, navigation, and widgets is also provided by the theme. Once the website designers get satisfied with their selections, they will get the opportunity to use unison and overview page thereby giving themselves a good idea for their combinations and selections. The typography manager is a feature which is designed in such a way so that new fonts added to Google font list can automatically be updated. Design all the galleries within the theme itself and without the support of any website. You can create slideshow on your own on the site and enhance traffic because after this the visitors will never use any other website to enter your website. You are allowed to reset the dimensions of the gallery collection if in case you have done any modification to your theme. The easy drag drop feature will allow you to scroll through the galleries without the change in creation dates or any other non-friendly method. Rename images, delete unwanted pages, and set gallery covers using the different gallery control methods. Get your theme purchase money back by managing all Ad space on your website. Use the OCMX advert management tool option to do this. You can select between 300×250 and 125×125 advert block sizes. The third party advert scripts like BuysellAds and Google Adsense can be introduced. Control all the features of your homepage layouts with as many as three default themes provided. The standard theme layout is not only unique but originally conceptualized and organized for. Now your theme will be converted to a business oriented website with the click of a simple button. Give a new look and feel to the homepage by gaining complete control as well as functionality and ordering of the website landing page. The SEO tools provided with this theme are easy to use and light-weight so that users don’t find problems in using them and they can get high ranking and web traffic. Easy to modify and understand, this lightweight tool allows for quick testing and editing. With this feature, you connect as well as interact with your visitors and readers easily. You can also keep a record of who is saying what and to whom. The number of levels can be set and accordingly the conversation takes place. Page reloading happens as soon as visitors post a comment. But this is not so with this theme because here visitors can see the videos and consequently write comments without the occurrence of page reloading. You can list your favourite quotes, products, product pricing, product information, and so on. If the users are not interested in including sidebar, then the full width page template will solve their purpose. The custom archive page payout is designed for providing your website with better usability features. Now finding any content will not be a problem for your website visitors because custom search page results option is present with this Obox-design theme. The sidebar widgets allow you to include latest posts and recent comments with the customised designed widgets. The theme is packed with a clear homepage featured slider which will showcase products and posts. Complete authority is given because the theme is compatible with WordPress 3.0 menu support. Display all details of the post authors and have a perfect blogger network. The in-post social linking feature is for including plugins like Recommend, Like, Retweet, Tweet, Digg, share, etc. in your website. The theme is compatible with all the latest browsers and even with those that are due to come. Some of the browsers include Internet Explorer, Firefox, Chrome, Safari, Opera, and so on. 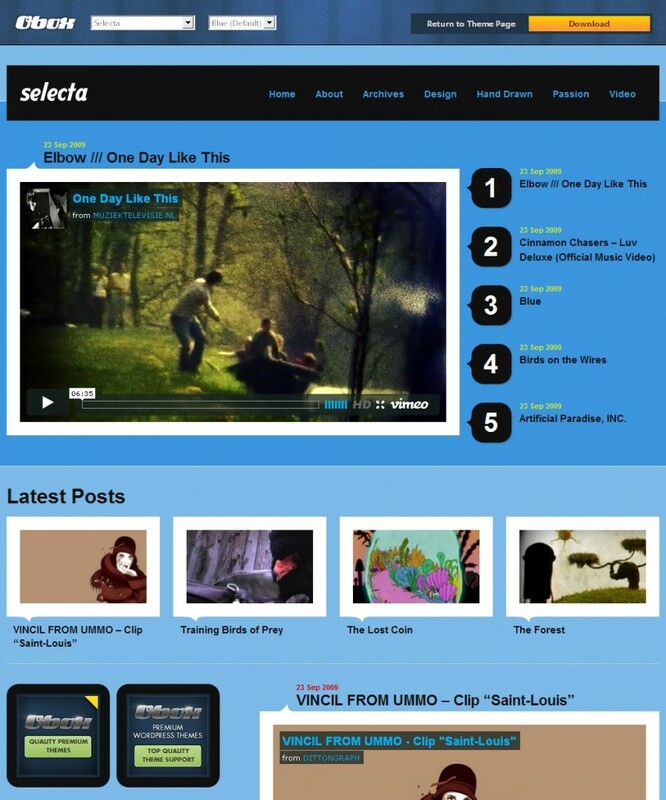 Absolutely new and advanced features are offered by this WordPress theme. The theme is cost-effective so both the small business and big business owners can afford it. The designing is very quick and easy. Your website’s loading speed will become slow at times when it will have many images and data. For some people, the theme price high as compared to the other competitor themes. Further, the customer support system may take time in replies to your queries and questions.